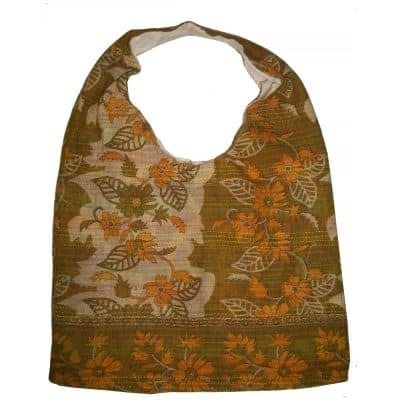 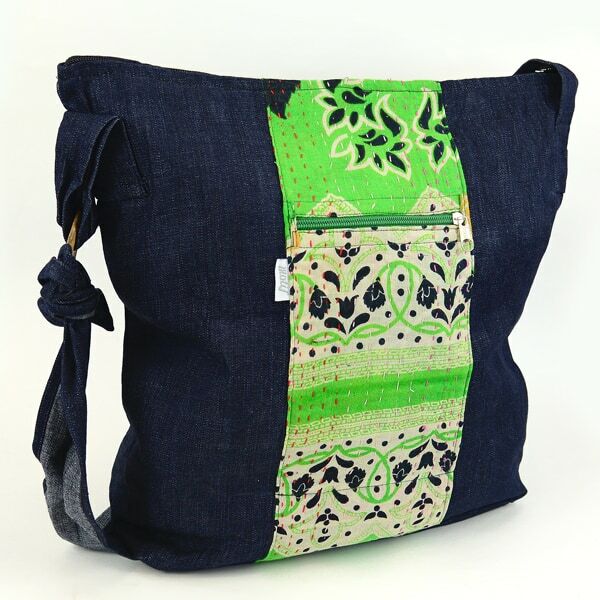 Hardworking upcycled denim and recycled saris made into kantha, combine to make this really versatile, lightweight, cross-body tote. 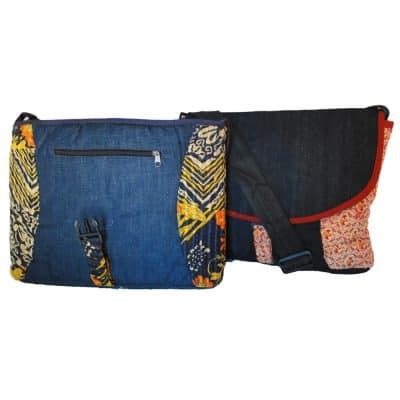 The roomy interior has a slip pocket for small items and closes with a strong zip. 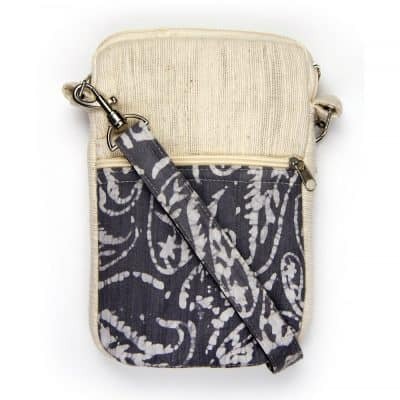 The zipped outside pocket secures most handheld devices at 6″x4″ 15x10cm and the long cross-body strap, adjusted on a metal or coconut shell ring, ensures it can be worn easily over a coat. 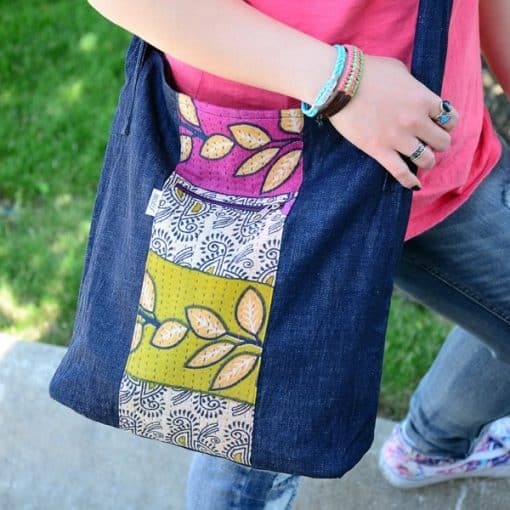 The beautiful textures and tones of this cross-body bag – along with its multi-purpose nature – make it a great every-day bag! 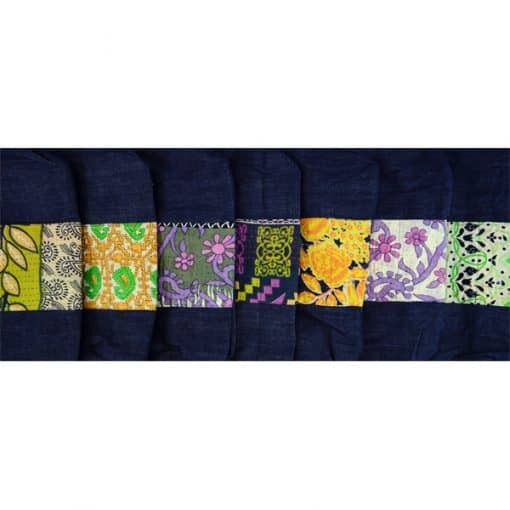 Upcycled denim is sourced by weight and colours can vary. If you prefer some similarity please mention ‘mostly blues’ or ‘black denim only’, etc. 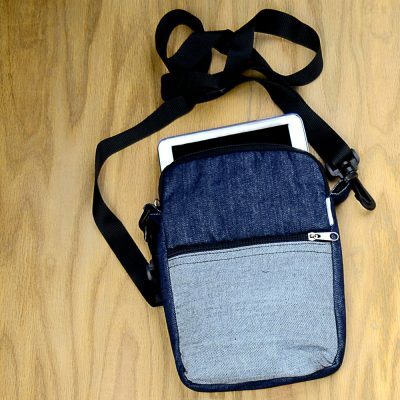 We will then confirm availability and lead times.